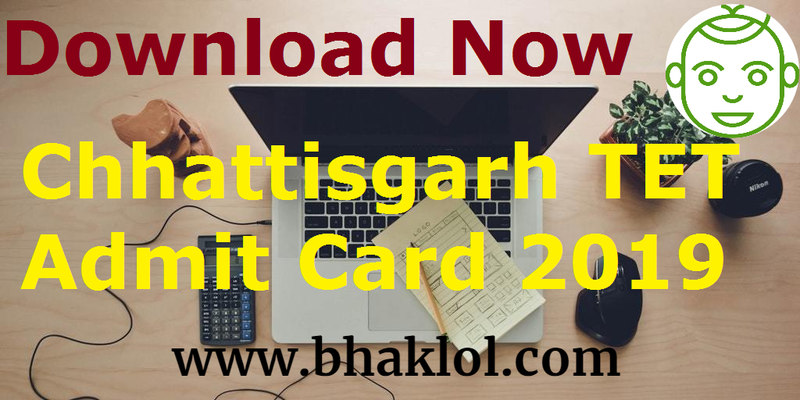 Chhattisgarh TET Admit Card 2019 has been released now. Chhattisgarh TET 2019 Examination is scheduled to be conducted on 10th March 2019. Registration Id is required to download Chhattisgarh TET Admit Card 2019.